By far the most popular siding material worldwide, vinyl is a PVC plastic material that’s been around for decades. In its early days, vinyl wasn’t thought of as a high-end option, mostly due to the low durability of early vinyl products. However, vinyl has come a long way since then. Today’s vinyl is considered to be a high quality, budget friendly, durable option with tons of potential for customization. But no matter your budget, vinyl is a great siding material to consider for any home. 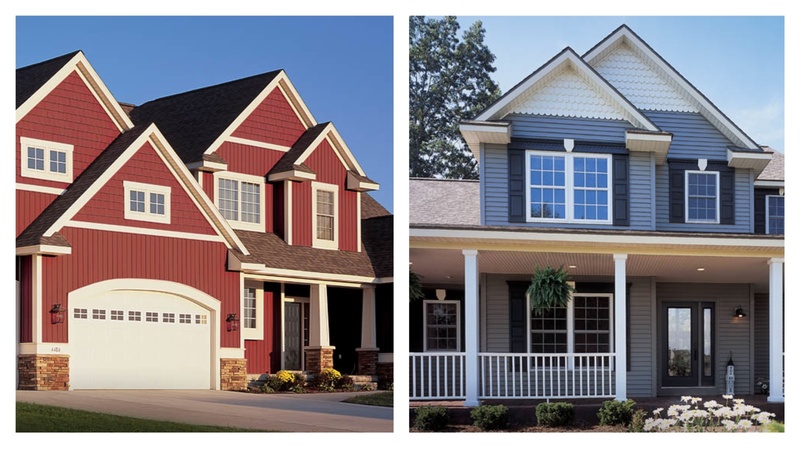 Use this comprehensive guide to select the perfect vinyl siding for you! One of vinyl’s most appealing features is the wide variety of styles that it comes in. Patterns replicating a large range of surfaces are available; from traditional wood to stone and others, there are many textures and patterns to choose from. And the advanced manufacturing technology available today makes these patterns and textures seem more realistic than you might think. Even from several feet away, modern vinyl appears natural and pleasing to the eye. 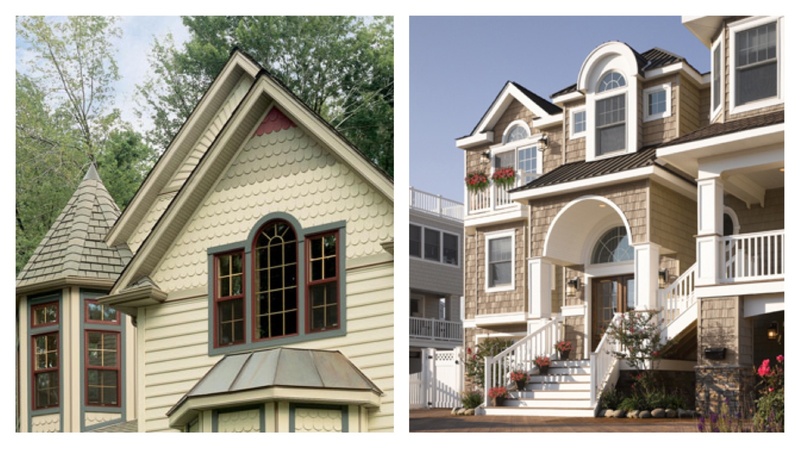 With dozens of chioces in color, pattern, and textures, you can match your siding choice to your home’s decor with no trouble at all. Another huge benefit of vinyl is that it requires little to no maintenance. Modern vinyl products are made to resist chalking, chipping, scratching, and other wear. And on the off chance that a scratch or chip does happen, you won’t ever need to worry about repairing it. All modern vinyl is colored throughout, not painted or stained, so any surface wear is pretty much invisible. Speaking of colors, there’s no shortage of selection when it comes to vinyl. There is truly a color for every taste. Bright or muted, bold or reserved, manufacturers put forth a lot of effort to give consumers plenty of selection. In addition to being impervious to scratches and scuffs, modern vinyl products are almost totally fade resistant. Unlike the vinyl of yesteryear, today’s vinyl is highly resistant to the same weather wear that used to cause chalking, fading, or warping. What’s more, dirt and debris fall off today’s vinyl almost entirely on their own in rain and normal outdoor conditions. That means you’ll never have to wash, treat, or paint modern vinyl siding. The final major benefit that vinyl carries is its ease of installation. A professional siding contractor can side a relatively large home with few men and little time, lowering the cost to you and making any necessary repairs in the future a cinch. You can go from choosing your color and pattern to having a completely sided home in almost no time. The best way to start the process of residing your home with high quality modern vinyl is to get in touch with your favorite local siding contractor. Using your own research and their guidance, you’ll be able to find the siding that’s just right for you and your home.